NB: You can also view a video tutorial on this topic. An OpenURL-link enables you to interrogate an external database, e.g. 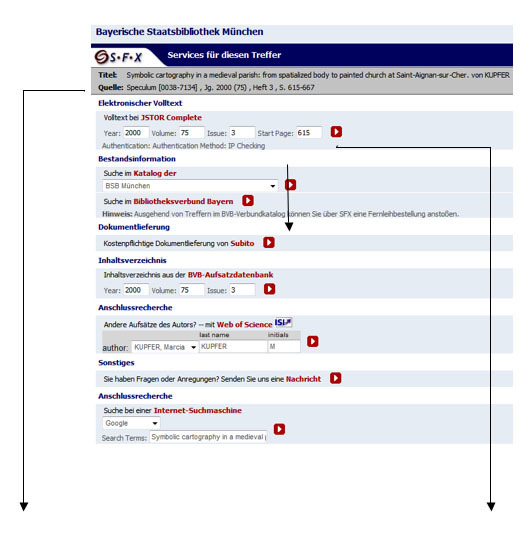 to check the availability of a book in a library or to read the full text of an article that is accessible in an online journal. Clicking on the link launches a search of resources to which you have access (usually, as determined by your librarian); the presence of the link does not guarantee that you have access to full text. This link will only appear for subscribers with an OpenURL link resolver (e.g. 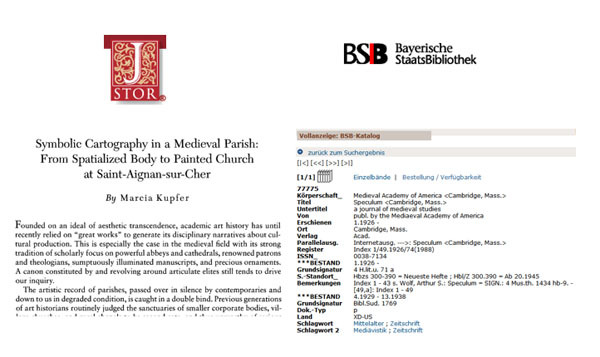 SFX from Ex Libris) who have supplied appropriate details to Brepols Publishers. 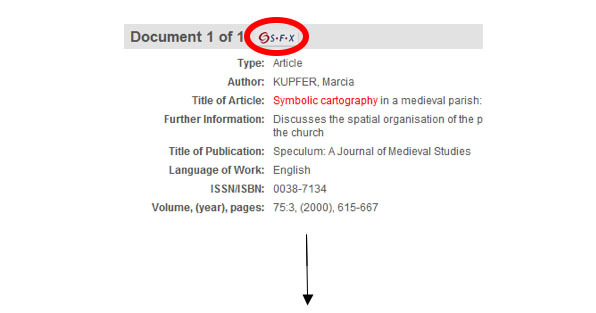 If, when you use other services in your institution, such as your institutional library catalogue or COPAC, OpenURL resolver links are visible, and no such links are visible on BBIH, please discuss the situation with your librarian (or whoever manages your subscription).